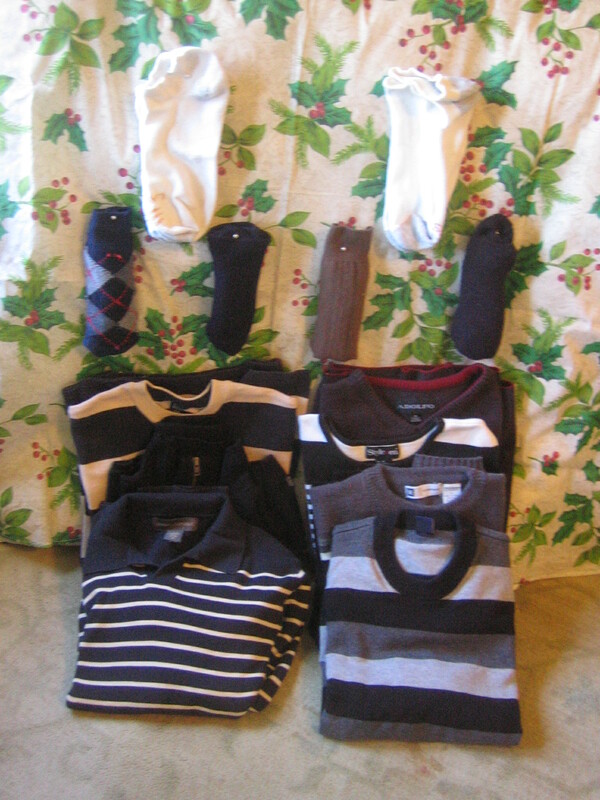 I think our son was either going through a drab and dull phase (or maybe a European fashion stage) when he acquired these sweaters since they’re all basically black, gray, navy, or brown. 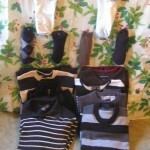 I only had 7 sweaters so I added 6 pairs of socks. (Don’t worry, I counted a pair as one.) I still was not to 14 items for the week, however, so I’m throwing in a Christmas cloth with holly on it. I’m not sure how it moved into our house, but at least it adds a little color and interest to the photo.